How would radio stations sound now if the engineering and IT staff did all the broadcasts, rather than presenters? I suspect that the audio levels would be better, at least. But, that is how it started really, almost ninety years to the day as I write this. Just as those who assembled the text on early web pages were techies, so were the early broadcasters. 14th February 1922 saw the launch of the first British radio station to make regular entertainment broadcasts. 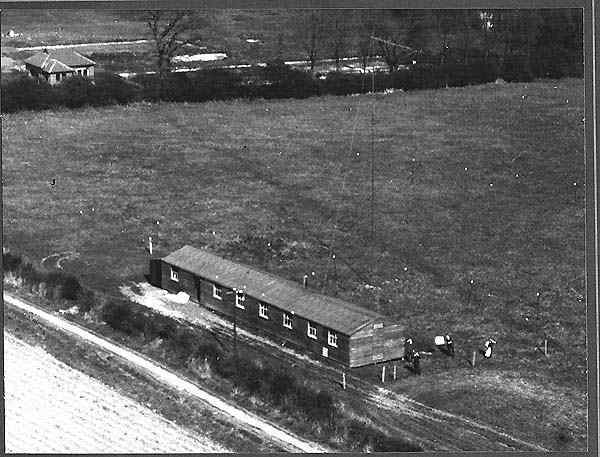 The station was called 2MT, broadcasting from a site near to the Marconi labs at Writtle, near Chelmsford in Essex. After many experiments, engineers sought a regular licence to transmit. Following considerable pressure, it was duly granted. 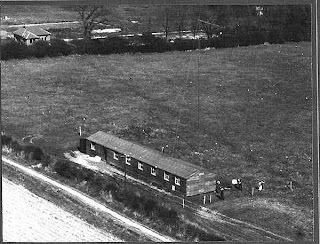 A triple-stack of engineers then put down their soldering irons, put on their parkas and disappeared each Tuesday to an old nearby army hut to broadcast the first regular programmes. One gets the feeling alcohol may have been involved. You can see the first 'broadcasting house' on the picture. It looks, actually, very much like the prefab in which my first hospital radio station was based. It's true. The 'station' closed in January 1923. The best known on-air was Captain Peter Pendleton Eckersley. Lots of syllables - ideal for an accapella name-check. He had decided that radio would be for entertainment; so his performances were all about records, singing and comedy, spiced by sound effects such as the banging of milk bottles. They were generally inventive shows. Peter went on to become the Chief Engineer at the new British Broadcasting Company. Unsurprisingly though, he and John Reith, who had a rather different vision for the medium, fell out. There was a call to HR; and Peter left. This audio offers a chance to hear Peter again in full flow. Then, hear him a few years on; telling of those early days. Peter died in 1963. How fascinating this all is. One sees the very seed of the debate where the BBC's 'mission to inform' is contrasted with the importance of 'audience size/populist appeal'. Also here, in Peter's own words, you witness the first 'awkward presenter'. A clearly gifted communicator who wanted to do things his way. He probably would not have stuck to a Selector log, and maybe missed an ad break or two. Or, as you hear him dismiss here the Post Office and the UK's procedural obsession, he might have turned up doing lates on LBC. Thanks, Guglielmo Marconi. We don’t say that often enough. It’s largely thanks to him, we are all on the air. In fairness, he was building commercially on the work of others over the previous 50 years: familiar names from your Physics lessons like Hertz and Faraday. He was born in Italy in 1874; and just like the Bransons and Sugars, he was a chap who found his own path. In his messy attic, he experimented, with a helping hand from his butler. I didn’t have a butler when I was twenty, but there we go. Marconi simply wanted to transmit telegraph messages without wires; so he devised an 'wireless' alarm which went ‘dring dring’ if the weather got bad. Then his aerials got bigger and he took the experiments outside. Not sure if his butler was still helping by then, frankly, or if he’d stormed out in a fit of pique. 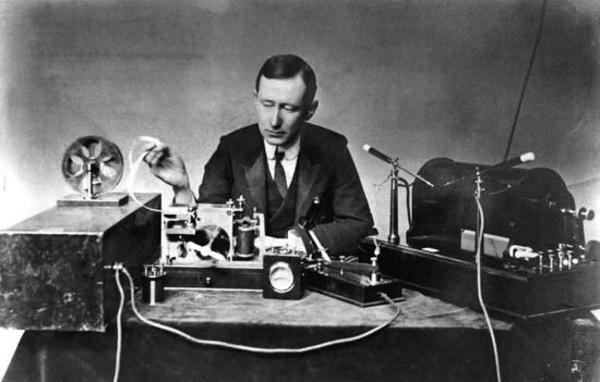 After a distance of a couple of miles had been covered, Marconi wrote with his news to the Italian government. They responded quickly, if only to suggest he was mad. So, where better for an eccentric inventor than the United Kingdom. In January 1896, he turned up in London with his long-suffering mother. I can picture her now, lugging a suitcase of PP9 batteries from Kings Cross. Luckily the chap at the Post Office (which ran telecoms back then and had a different logo) took a shine to him and responded to a letter from a friend of a friend – and Bob’s your uncle (hear the letter below). He got a little RSL on Salisbury Plain and demonstrated ‘radio’ to the government before going that little bit further and transmitting across the Bristol Channel. The first message was ‘are you ready?’. Tight links even back then. After that, it was off to the States. His defining experiment, though, was across the 2,000 miles from Poldhu in Cornwall to Signal Hill in St John's, Newfoundland (now part of Canada) in December 1901. The transmission and reception of the first trans-Atlantic wireless signal. 'It was about half past twelve when I heard three little clicks in the earphones. Several times they sounded but I hardly dared believe', said Guglielmo Marconi. Imagine putting an earphone to your ear and hearing signals from afar for the very first time. Marconi had gambled £50,000 on this experiment; one even many scientists felt would fail, given the curvature of the Earth. This final furlong to his work was no plain sailing either: 200 feet aerial masts had earlier been brought down in storms; and kites and balloons also proved largely unsuccessful. At 12:30, the sounds came. Dot ... dot ... dot, transmitted 1,865 miles. The World was never the same again. In this audio, hear Keith Davies from the Science Museum reflect on the experiment. In 1924, Marconi was, quite righty, ennobled; and almost a hundred years later he got a room named after him at RadioCentre. He died in 1937.